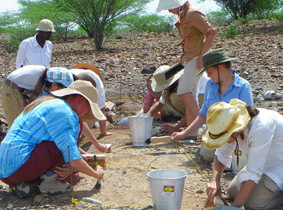 On Friday 18 November, TBI Students completed their last course, Archaeology of the Turkana Basin, taught by Sonia Harmand. 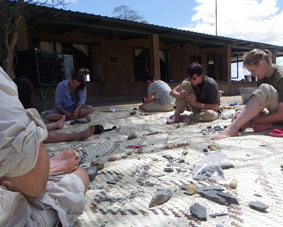 Students learned about the major steps in the development of early technologies in Africa, from the appearance of the first stone tools 2.6 Myrs ago to the Neolithic. 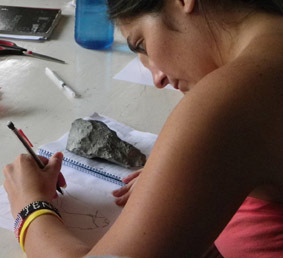 Jenna drawing an Acheulean handaxe. 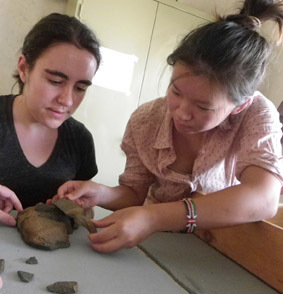 Elaine and Hui refitting flakes on an Oldowan core. 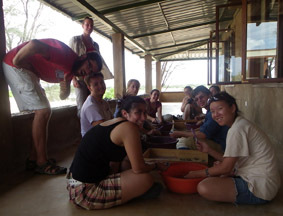 The group washing some LSA artefacts. 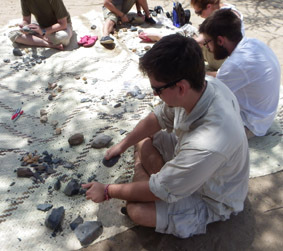 Wesley knapping phonolite with a hard hammerstone. 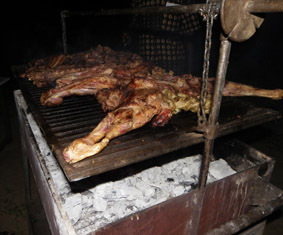 Kait using a sharp flake to skin the goat. 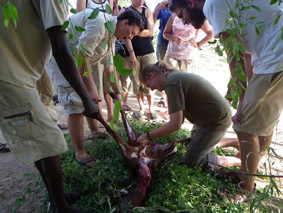 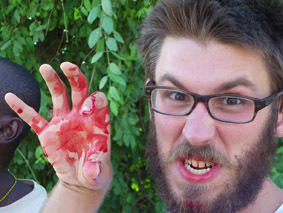 Wesley and Jenna smashing a bone to get the marrow. 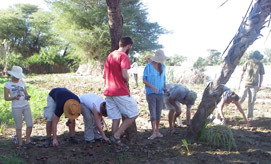 Nut collecting along the Turkwel river. 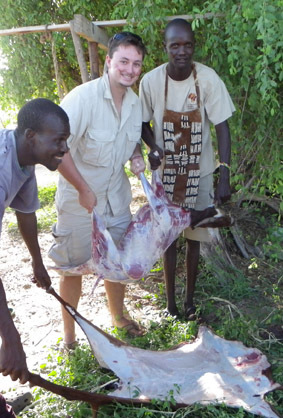 Nut scraping along the Turkwel river. 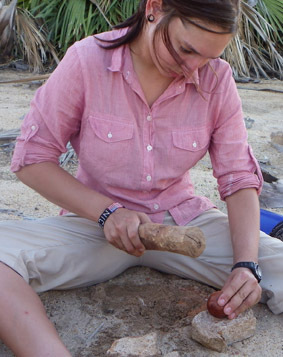 Nicole scraping a nut on an anvil. 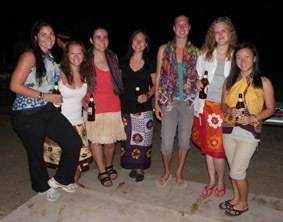 The group at the excavated site of Kokiselei 6. 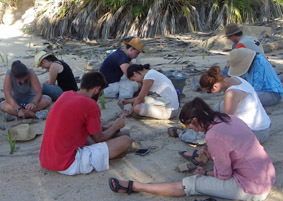 The group excavating 5 square meters at the oldowan site of Kokiselei 6.